Heidi: What type of direction did you get from the magazine? 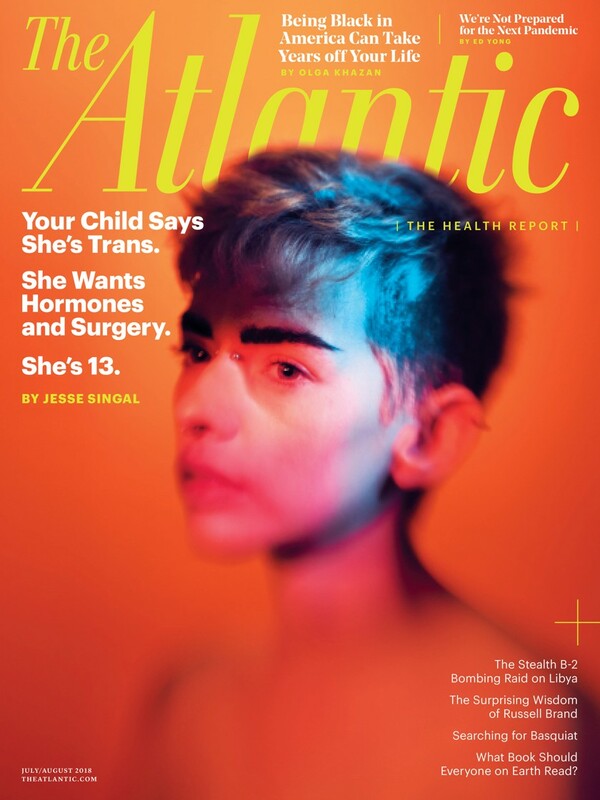 Maciek: The Atlantic wanted an abstract artistic way to show gender dysphoria in youth. 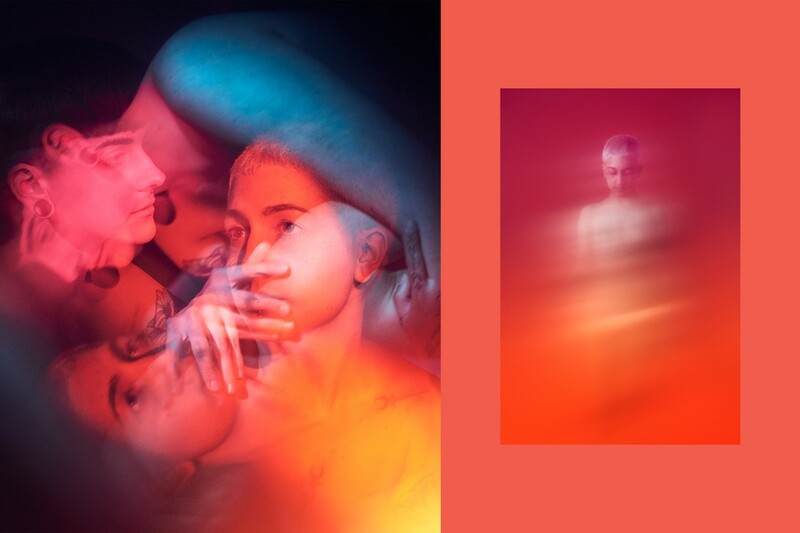 So the soft, colorful approach of my ‘A Thousand Souls’ project appealed to them, as well as my ‘Bypassing the Rational’ series of nudes, which I shoot in a way that’s very obscured and indistinct. They also inquired about a double exposure element that could show both genders in the frame, which I was able to do in-camera with two trans youth. How did you decide casting or are those people mentioned in the story? I took care of casting by contacting several trans organizations in NYC and other cities. Word got out to the trans community and several people got in touch. I actually shot many people for the shoot, but only a few made it into the final story. I would receive photos, forward them to the magazine, confirm mutual interest and invite them to the studio. None of them were mentioned in the actual story. Was this done in camera or post? All the effects you see were performed in-camera. They’re all very lo-fi techniques that I’ve developed over time. I don’t like to get too involved in that conversation, but I will say it involves placing different elements in front of the camera to alter the focus or add color to the image. Why did you choose those particular colors? I tend to combine warm and cool colors in all my images to maintain a balance visually. I never plan on any specific colors until I am there, shooting with the person. So it’s generally an intuitive process informed by many years of combining colors and generally knowing what works and what doesn’t. What direction did you give the subjects during the shoot? If I don’t need to say anything, I won’t, as it’s often better to just see what the subject will do without having to interfere. For the full-body shot, the magazine had suggested the subject looking down or away and I thought that was a good idea, to make the image less deliberate. Two pairs of people came together, so that made shooting easier, as they were comfortable with each other and we would all chat during the shoot. I’m so glad you featured this shoot! When this issue came in the mail, it definitely stood out, and not much does to me anymore. Great work. It was nice to hear about the process.